Blog Your Way To Spain - We Have A Winner! We recently launched our biggest blogger competition yet, offering the winner a bundle of three amazing prizes including a voucher towards a Clickstay villa in Spain, flights, and a pair of Sunday Somewhere sunglasses. We had some incredible posts, from mummy bloggers dreaming of their perfect family holidays, to travel and lifestyle bloggers looking to explore new cities and soak up some rays. 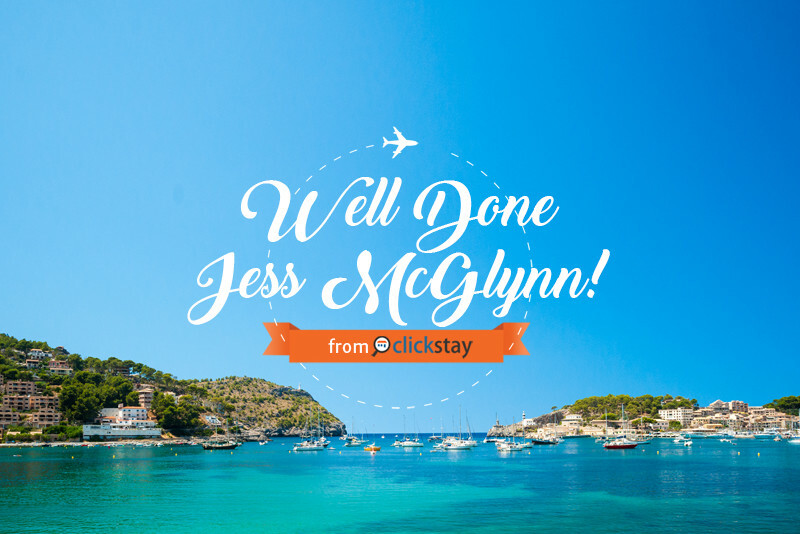 However, voting has now closed and, after much deliberation, we can happily announce that the winner is... Jess McGlynn! We want to wish you a massive congratulations! You have won a £250 Sunday Somewhere voucher and a £1500 holiday package to put towards your dream holiday in one of our villas in Spain. We would like to say a huge thank you to everyone who took part, we loved reading all of your posts!